While some people use their cell phones for talking, texting or interacting on social media, other peo-ple use their phones for gaming. It is estimated that a popular game can make as much as $50,000 per day in downloads alone. 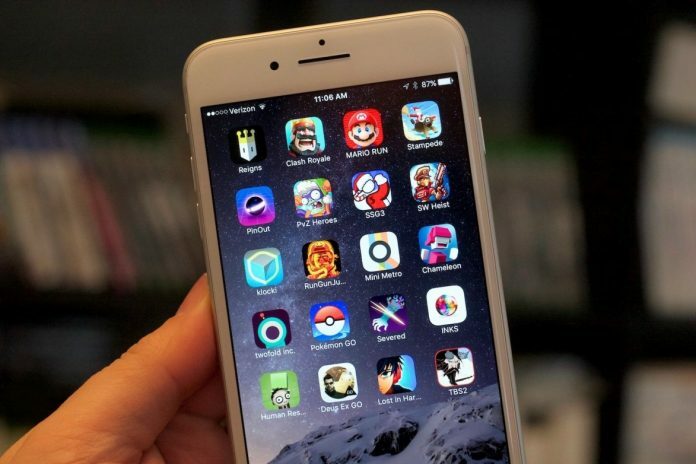 The most played mobile games downloaded from Google Play and iTunes are described in this article. 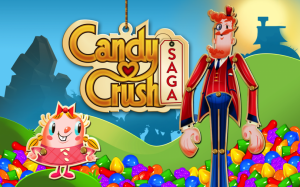 Candy Crush Saga, which was created by King Developers, has had 55 million downloads by June 2018 alone. The game involves players moving colored pieces of candy on a candy-themed game board. The object of the game is to match three or more pieces of candy of the same color. Once the match is made, those candies disappear and are replaced by new candies, which can then be matched to other candies. If you can match four or more candies, you earn more power and points and have the potential to clear the board. Each board has a goal that must be completed before a certain number of player moves or within a certain amount of time. Sometimes, the board asks players to collect a certain type of candy or complete the board within a specific amount of time. Candy Crush was one of the first games to allow players to play a basic set of games. But, if players want to play more difficult boards, they have to buy those boards. The game is estimated to have earned King Developers 3 billion downloads, and billions of dollars in revenue. It has been the top-grossing app for the last four years. 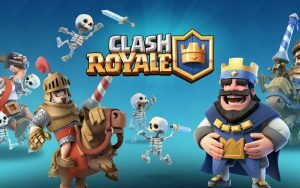 Clash Royale, created in 2016 by Supercell, is called a tower video game. That means it is a battle game in which different teams attack a tower or try to overtake a tower. In Clash Royale, players (who can choose to play one on one or two on two) try to destroy as many towers of the opposing team as possible. However, if one tower, the King Tower, is destroyed, the side that destroyed it wins the game instantaneously. Winners acquire trophies in play when they destroy the most towers, with the destruction of the King’s Tower getting the most trophies. The more trophies you win, the higher the level you have achieved. All players are ranked by their levels and trophy counts. 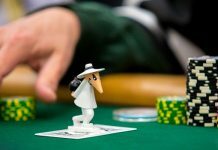 The players have a choice of playing in 12 different arenas, but beginners are only allowed to play in certain arenas until they win a certain amount of trophies and gain levels. The game has grossed more than $2 billion since it was released and has had nearly 26 million downloads through June 2018. 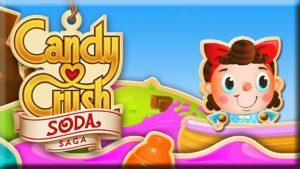 Candy Crush Soda Saga, which has had nearly 23 million downloads as of June 2018, comes from the same creator as Candy Crush. It is played in much the same way, except players are matching soda bottles rather than candy. Like the original game, players can choose to play all the boards for free, or they can choose to play more difficult boards for a price. While the sequel has not been as successful as the original, it has already grossed more than $1 billion. 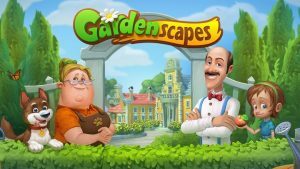 Gardenscapes, a free game created by Playrix in 2016, is another three-match puzzle game like Candy Crush. However, in Gardenscapes, you have to swap two elements next to each other in order to make three garden elements match. The game follows Austin, the butler, as he tries to restore a beautiful garden to its original glory. Each level has a goal attached to it, which could include collecting fountains within the garden or finding garden gnomes. Unlike Candy Crush, this game has a story, and in order to unlock the next chapter of the story, you have to earn new levels and gain stars. At this time, there are more than 2,000 chapters to the story. Gardenscapes has had 18.5 million downloads as of June 2018. This game is based on a Japanese visual novel and is the fifth role-playing game in the series. This iteration of the series has had nearly 18 million downloads as of June 2018. In this version, characters must travel back and forth in time to save humanity, which is projected to go extinct unless action is taken to save mankind. As with many of the games on the list, in order to advance, players must make purchases to help them along. Fate/Grand Order is a game that allows turns and involves tactics within the role-playing setting. The characters called Masters rule over a group of individuals called the Servants. The Servants usually represent characters from various cultures in history, literature, and mythology. The Master usually commands a party with six Servants in each battle, but only three Servants are active at a time. The other Servants are reserve members. In a card-like role-playing game, the Master receives five cards at each turn and chooses three to use for an attack. Servants also have five cards the Master can use but all the Servant cards are shuffled at each turn. The cards have different types of play, all in attack mode. If the Master can manage to string together three similar cards in the same turn, bonuses are created. Masters can also create spells. Servants must be bought or won, so in order to buy more Servants, the player must buy more or win them in battle. There have been some complaints about this game’s in-app purchase prices. For example, in order to buy rare Servants with a lot of power, a great deal of money must be spent. 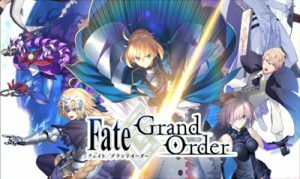 In one notable case, a man in Japan sued the creator of the game, Delightworks, because he claimed he spent close to $70,000 to obtain enough currency to buy a powerful Servant. However, this doesn’t appear to have dissuaded people from playing the game. 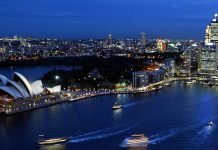 Since it was introduced in 2015, it has done more than $1.5 billion in sales. Several other popular games have gathered millions of dollars in downloads. Lord’s Mobile has had more than 16 million downloads so far this year. 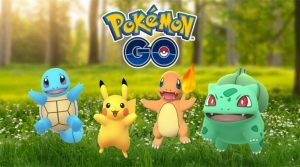 Pokemon Go – a phenomenon a few years ago has had more than 15 million downloads this year. 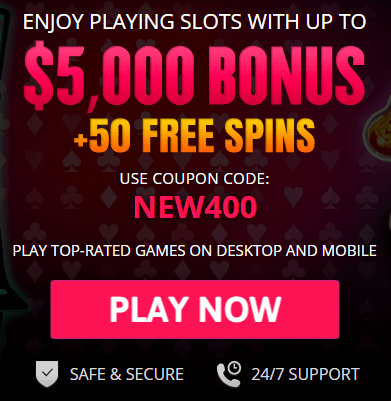 Slotomania, a Vegas-style slots game, has had 15 million downloads in 2018 so far. Final Fantasy XV: A New Empire grossed $14.27 million in January 2018, which made it Google Play Store’s ninth highest-grossing game. Clash of Clans, another role-playing game, has had nearly 14 million downloads in 2018. Altogether, the top 10 games downloaded in 2018 have been downloaded on Android and iPhones more than 300 million times. While many adults scoff at the idea of playing mobile games on their phones, the number of adults who are playing mobile games is increasing. In 2012, 33 percent of adults played games on their mo-bile phones. By 2017, more than 61 percent of adults reported they played games on their phones. 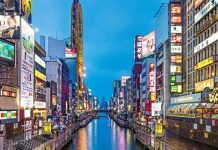 Companies that develop mobile games have been estimated to gross approximately $100 billion yearly around the world, which means it is a booming business, especially in the area of free play versus in-app purchases—where the real money is.